The way my brother Eddie tells it, he and a college friend decided to cook a turkey for Thanksgiving one year. When it came time to cook the turkey, he took it out of its plastic wrapping, only to discover that the bird was still completely frozen. Undaunted (due either to the unchecked optimism that accompanies that time in life, or to beer addled judgement, and probably a little of both), Eddie went about cooking the turkey anyway. Heck, what’s a little frozen meat that a hot oven can’t overcome? Into the oven the turkey went. When it came time to eat, my brother pulled out of the oven a beautifully roasted, browned all over turkey. Success! thought my brother, hungry by now for the bird that had been roasting for several hours and filling the house with that wonderful aroma of Thanksgiving. A few friends had gathered as well, waiting for the feast to come. Then it came time to carve. Ed took out his longest, sharpest chef’s knife and aiming for the breast, cut in. Or tried to. As he tells it, he got about one inch in before the knife bumped up against rock hard, stone cold, frozen turkey. Or maybe it was a half inch. In any case, from what I understand they gave up and went out for Chinese. The obvious moral of this story is to allow your bird plenty of time to defrost. A 15 pound turkey will take about 3 days in the fridge to defrost, a 25 pound turkey, about 5 days. The less obvious moral to this story, and the point of the following recipe, is why cook a 25 pound turkey when you are only feeding 4 to 5 people? Unless you want turkey leftovers for weeks, you might be better off cooking just a part of a turkey. In this recipe, we are cooking just the turkey breast, bone-in and skin-on, and making a rich, creamy gravy with drippings from a couple turkey wings. Want even juicier turkey? Try brining your turkey before cooking! 1 Preheat oven, prep turkey wings: Preheat the oven to 350°F. Chop the turkey wings into pieces with a cleaver or heavy kitchen knife (or have your butcher do this for you). Coat the wings with some olive oil and salt well. Arrange in one layer in a roasting pan. 2 Roast the garlic and chopped turkey wings: Slice off the top 1/4 of the garlic heads and discard. Nestle the heads into some aluminum foil and drizzle the remaining olive oil over the garlic. Close the foil and place in the roasting pan with the turkey wings. Put the pan in the oven and roast at 350°F for 45 minutes. Remove the garlic (do not unwrap), turn the turkey pieces and roast another 15 minutes. 3 Rinse turkey breast, let sit: While the turkey wings are roasting, take the turkey breast out of its package, rinse under cool water and pat dry with paper towels. Let it sit out to come to room temperature. 4 Make turkey wing stock: When the turkey wings are ready, place them in a medium pot and cover with water. Add a cup of water to the roasting pan and scrape up any browned bits with a wooden spoon. Add this to the pot with the turkey wings. Cover and simmer gently for 1 hour. 5 Roast turkey breast in oven: Heat the oven to 425°F. Coat the turkey breast with the vegetable oil, then sprinkle it all over with salt. Sprinkle it as well with black pepper, thyme and sage. Place the turkey breast skin side up on a rack in a roasting pan. Pour 1 cup of water into the bottom of the pan (this will help prevent the oven from smoking). Put the turkey in the oven and cook for 10 minutes. Turn the heat down to 350°F and cook until the thickest part of the breast reads 155°F with a meat thermometer, about 80-90 minutes for a 6 to 7 pound breast. (Note that the internal temperature will continue to rise after you take the turkey out of the oven to rest.) To be on the safe side to keep from overcooking the turkey, check the internal temperature of the breast after one hour. 6 Make the gravy while the turkey breast is roasting: Pour the turkey broth through a fine-meshed strainer into a bowl. Melt the 2 tablespoons of butter in a small pot and stir in the flour. Cook the butter flour mixture over medium-low heat, stirring often, until the mixture is the color of coffee-with-cream. Add the hot turkey broth to the butter flour mixture about 1/2 cup at a time, stirring constantly. Stir in enough broth to make a thin gravy, about 2-3 cups. Squeeze all the garlic from the garlic heads into the gravy. Simmer gently while the turkey breast cooks, adding more turkey broth or water if the gravy gets too thick. 7 Remove turkey from oven, let rest: When the turkey breast is ready, remove it from the oven, cover it with foil and let it rest for 15 minutes before carving. 8 Finish gravy: Pour the gravy into a blender and purée until smooth. Return the gravy to the pot and add salt and pepper to taste. Swirl in 1 tablespoon of butter to finish. 9 Carve the turkey breast: Cut straight down from the keel bone (the keel bone separates each half of the breast) until your knife hits the breast bone. Slice the meat off and, using short strokes with the knife, free the meat from the bone. If you want, pull off the tender underneath the breast and slice this piece separately; it tends to fall off the rest of the breast when you slice it anyway. Slice the deboned breast and serve. Hello! All photos and content are copyright protected. Please do not use our photos without prior written permission. If you wish to republish this recipe, please rewrite the recipe in your own unique words and link back to Roast Turkey Breast with Roasted Garlic Gravy on Simply Recipes. Thank you! Hi Elise! Is it possible to make only the gravy in advance? If so, how long will it keep in the fridge? I am hoping to make it the weekend before thanksgiving. Hi, Heather! Emma, managing editor for Simply Recipes, here! Yes, you can make just the gravy if you like! It will keep in the fridge for about a week, or you can freeze it for up to 3 months. Reheat it over low heat on the stovetop and whisk vigorously (or blitz with an immersion blender) if it separates. Enjoy! Would it be bad to cook this breast down? Or would it not matter in this case? Hi Suki, it’s best in this case to cook the turkey breast side UP. That way the skin gets browned and crispy. If I can’t Find turkey wings what else can I use? Turkey drumsticks will work too. Can this be made a day ahead. Yes, but then it will be like serving leftovers. The skin will not be crispy. It will still be good though! I made this today, but with only one breast. It took one hour to cook. For three people only, this was PERFECT. And the gravy–oh, my God! Outstanding. 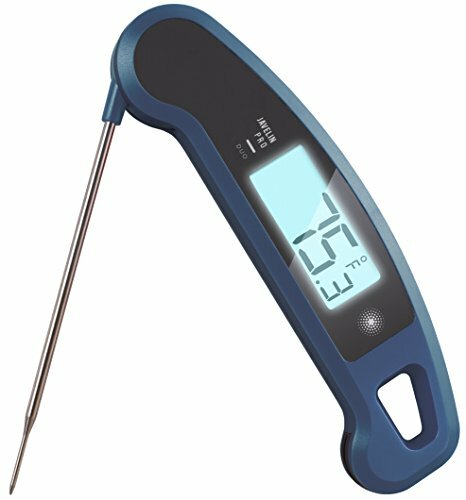 Cannot find the time/temperature for a 14lb Turkey Breast? You still take the turkey breast to an internal temp of 155°F, but you’ll have to cook it longer, maybe another hour and a half. This was the main for Christmas dinner. Six thumbs (my dad, sister, and me) up. Made as written, this is hands down the best gravy recipe ever! Thanks Elise! I always buy 5 extra of the smallest turkeys while on sale now and freeze them. Then we have one every couple months. Everyone thinks turkey is such a pain to prepare but if you make the stuffing in it’s own dish it only needs 1 1/2 hours in the oven. Plus the small ones only cost $5 to $7. Would there be any benefit to cooking the breast “upside down” like you recommend cooking a whole turkey breast side down? No, not really. The turkey breast cooks much more quickly than a whole turkey and there is less risk of the breast drying out as long as you are careful about monitoring the turkey’s temperature. Not directly related to THIS recipe, but in the last week or so I have sent the link to your Mom’s Roast Turkey recipe/technique to, let’s see….SIX different people, after I raved about how terrific and moist it turns out and they begged for ‘my’ secret. Many thanks to you and your genius mom! Can’t wait to try this, looks great! What do you do with the wings after straining? Hi Chris, well, you might want to strip off the little meat that is there and save it for tacos or a snack. Or you can eat, if you like wings. Or you can discard. The wings are just to produce drippings for the gravy. My favorite T-day mishap was the year my mother grabbed the flour to make gravy and was very upset when it wouldn’t thicken. She made a second roux and added the not thick gravy to it. She gave up and called my brother in to help. He tasted the soupy gravy, and informed my mom she had been using powdered sugar, not flour. Oops. The best part is my brother still ate it, calling it “candy gravy.” We laugh about it every year! I’m thinking your turkey broth is the beginning of a good turkey soup with some of the roasted garlic added. Thanks for your wonderful site! I think I would miss the dark meat. I love it, especially in a casserole or gumbo. Still looks amazing though. Looks fabulous! BTW you have remove the garlic in step 2 and step 4? Thanks for the catch! Corrected. Just remove in step 2. Looks fabulous! How long do you cook the wings for? Step 2. An hour total.